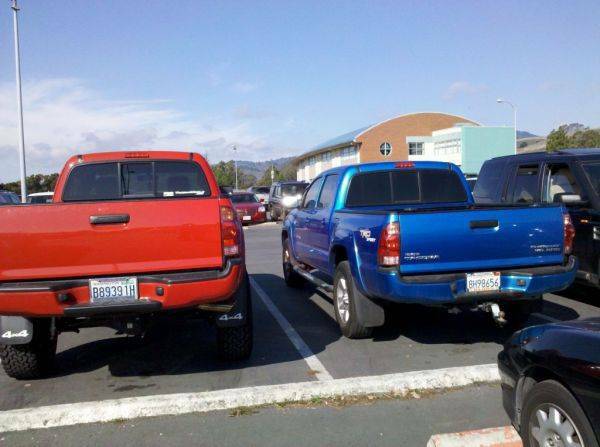 Discussion in '2nd Gen. Tacomas (2005-2015)' started by FXHO, Oct 18, 2010. 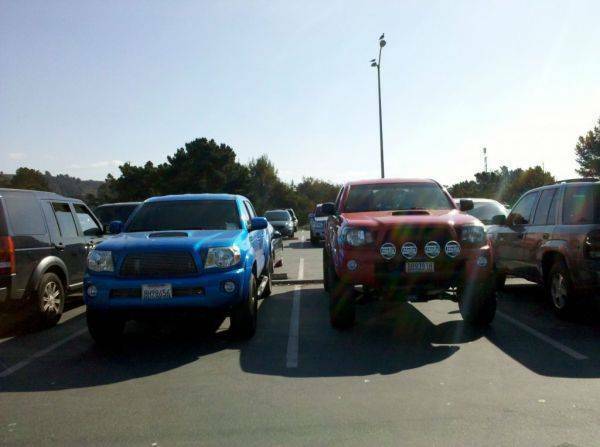 DOES ANYONE HAVE A SIDE BY SIDE PICTURE OF A STOCK TACOMA NEXT TO A RCD LIFTD 4.5 INCH TACOMA???????? I've seen before and after pics but I would like to see the stock vs rcd side by side in same picture. Just keep bumpin it, someone will eventually come thru for you. Are you trying to fit in the garage still? Sorry, I don't have any pics of my truck stock. It virtually left the dealer and went straight to the shop. just buy a drop hitch and you're good to go. i've pulled my sea doo which is no problem at all and i've pulled my 20 foot boat. Did you have to do any re gearing to it to pull the ski and boat???? 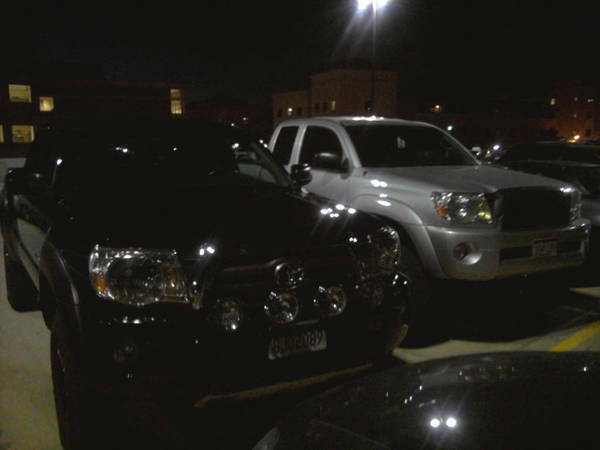 Anyone else got a rcd lift next to a stock tacoma? 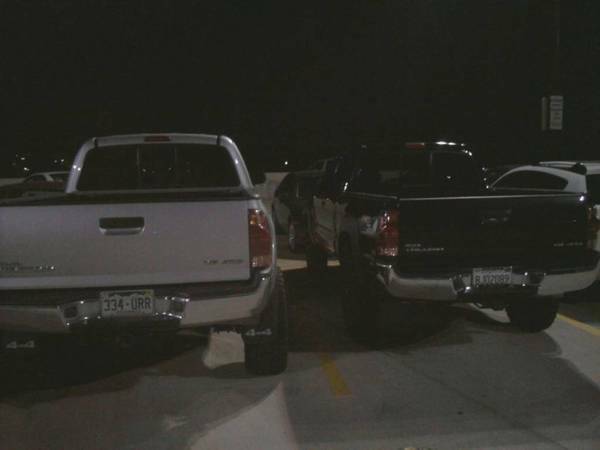 I have a pic of my 2" lift next to a 6" lift. 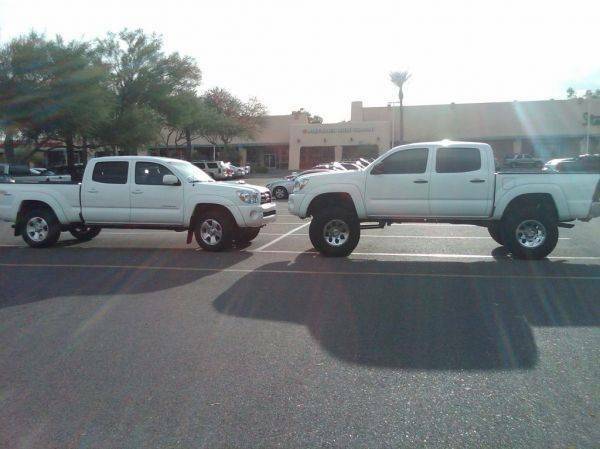 Both are on about the same size tires (height wise). BigA Hey you'll watch this!!! what brand of lift is senoir taco got on th DC? ?